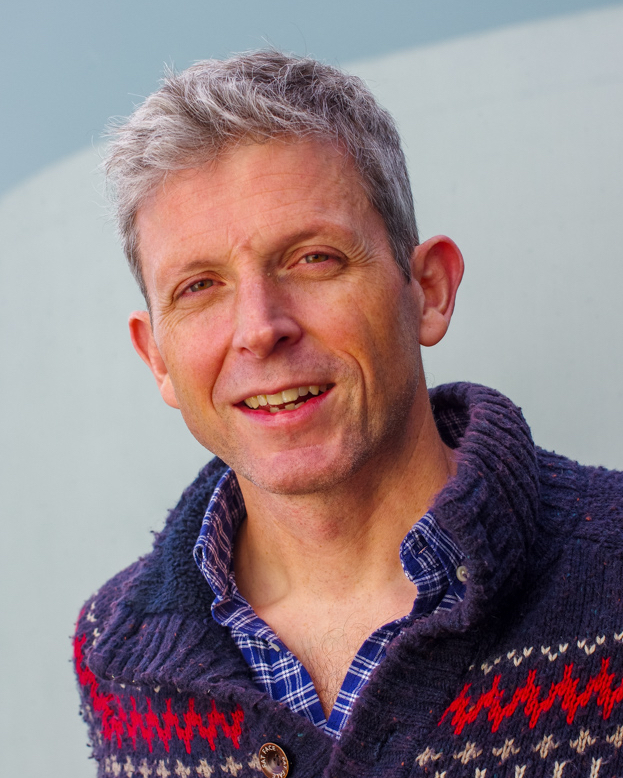 Euan Lawson is the Deputy Editor of the BJGP. 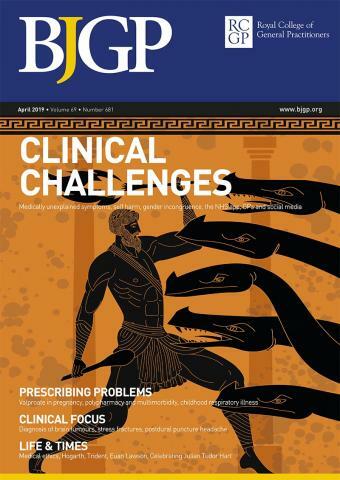 One of the aspects of the BJGP that has always been appreciated by readers is that we publish a lot of writing about primary care and the profession that goes beyond research. In the BJGP we have editorials and we have more traditional medical education articles such as those featured in Clinical Intelligence. We have Debate & Analysis pieces but we also accept more personal writing that covers the experience of primary care. We also publish articles on everything beyond the consulting room and we have always reached into areas such as book and film reviews, arts, theatre and exhibitions. And, of course, we do opinion and polemic. They are all welcome. Nowadays, they are found in the Life & Times section of the BJGP but we have other options as well now. We’ve summarised these so that if you have a hankering to write for us you will have a better idea of where to focus your efforts. The Life & Times section of the print journal is familiar to many people. 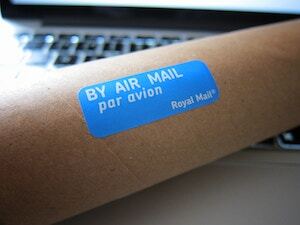 It has, in the past, been known simply as the Back Pages and it has been through a period as Out of Hours. All articles in the print journal, including Life & Times (L&T), will be indexed on Pubmed but articles for L&T are not generally peer-reviewed in the same way as research articles and editorials. In order to meet the requirements to fit on a page we generally need articles for L&T to be 600-700 words long. There is some flexibility but we like to use images in the print journal and we need some space in which to add them. We like book reviews to be 300-350 words when possible although some reviews will be 600-700 words long. We do publish longer essays on occasions. Typically, lengths of 1200-1400 words will then fit. It’s worth mentioning that our preference is to stick to single-page articles in the majority of cases. If you are aware of a local exhibition or event that could be of interest then get in touch. We may be able to use a review. We are fortunate enough to receive more submissions than we can publish in the print journal. We are always happy to consider any article but if you do stray far beyond these limits it does make it harder for us to use it. We also have a blog and website where we publish articles that are better suited to an online medium. Sometimes that is because they are time sensitive and topical. The print journal, the main BJGP, is a monthly publication and that does result in a modest lag to publication. Even if we had absolutely no articles in the pipeline and we pushed a piece into the next available issue it could be several weeks before it is printed and distributed. More commonly we are working 2-3 issues down the line for articles that are not time-sensitive. BJGP Life gives us the opportunity to publish articles that are of immediate interest to our readers. In addition, there is an open-ended option with word count. We’ve had some excellent ‘Long Reads’ – check out Stanley Jeff’s piece as a good example. That said, in our experience many longer pieces are often much better as shorter articles. It’s the old case of Pascal’s Apology: “I’m sorry that this was such a long letter, but I didn’t have time to write you a short one”. A good length for an article on BJGP Life is much the same as the print journal – 600-900 words works well. Importantly, BJGP Life also gives us the chance to publish multiple images, videos, audio and use media more creatively. We simply can’t do that with the print journal. Articles on BJGP Life will not be indexed on Pubmed. That said, we may well be able to publish a short version in the print BJGP and a longer version, perhaps with multi-media, on BJGP Life. We are very happy to consider this as an option when suitable. 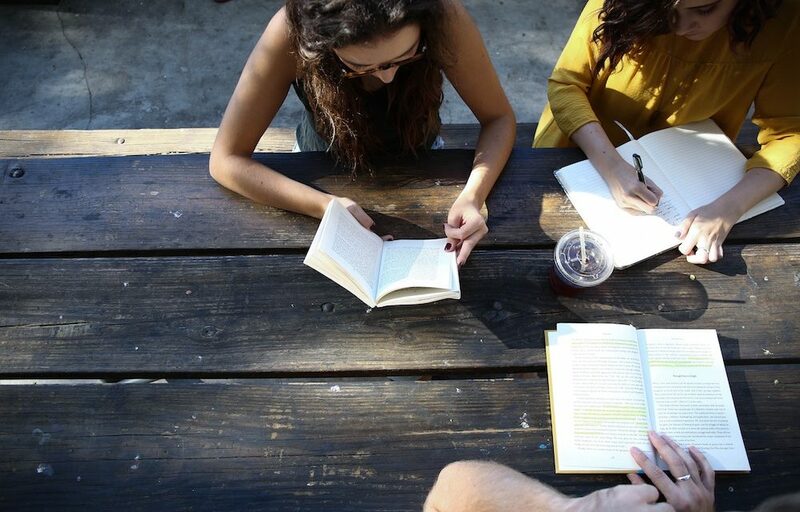 We do have a number of people who write regularly. We’d be delighted to hear from anyone else who is interested in getting involved. Get in touch and let us know. The BJGP has now launched BJGP Open. 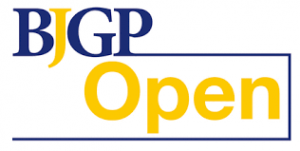 BJGP Open is an international, peer reviewed, open access, online-only journal of primary care, which publishes original research and other articles of importance to primary care clinicians, researchers and teachers worldwide. BJGP Open publishes research articles and full details for authors considering submitting research can be found here. BJGP Open will also publish Practice & Policy articles with a much reduced article processing charge. These should be 800-1000 words long and can cover a range of areas. Practice & Policy articles could include case reports and we are very interested in international reports that describe interesting and important clinical, health policy, and medico-political developments and initiatives, designed to highlight aspects of primary health care around the globe and to generate discussion and debate. The best way to submit articles for the BJGP including L&T and BJGP Open is via the online submission system on the individual websites. You will be able to ignore many of the boxes as they are only applicable to full research papers but it does ensure we have the important details and appropriate COIs etc recorded. 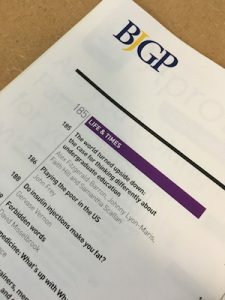 If you are interested in writing for the BJGP Life website then drop us an email via the feedback form or contact journal@rcgp.org.uk. Euan is the Deputy Editor of the BJGP & BJGP Open. Doctor, writer, fell runner, cyclist. Can be found writing on men's health and blokeology at euanlawson.com.